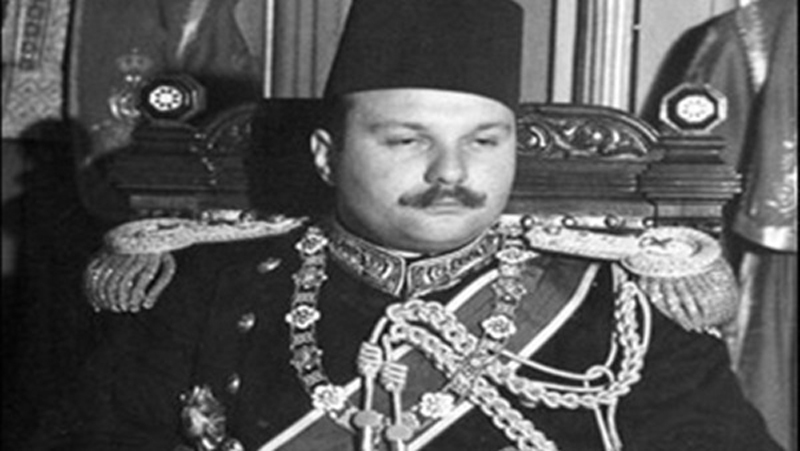 With great interest I have been watching the TV series “King Farouk” this Ramadan, recounting the life of Farouk I, the last king of Egypt who was dethroned by a revolution carrying the Free Officers’ signature in 1952. For years we were taught to believe that Farouk was a “bad king” whose “carelessness” led to the Arab defeat in the War of 1948. Revolutions vilify and destroy all that preceded them. Egypt was no exception. Farouk’s name was ruined and so was that of the entire dynasty of Mohammad Ali Pasha, which like all other royal families, certainly had its faults. Even the Wafd Party, which was ultra-nationalistic, was ruined by the revolutionary Nasser regime. History books depicted Farouk as a womanizer, a drunkard, and a passive monarch who cared more for his personal indulgences than for the fate of Egypt. Historians, however, know better. It was Farouk who initiated the Arab League in the 1940s. It was Farouk who worked to break the Hashemite-British dominance in the Arab World—with the help of King Abdul-Aziz Al-Saud and Syrian President Shukri al-Quwatli. It was Farouk who insisted to go to war in Palestine in 1948. Farouk was a womanizer indeed—forgivable perhaps because of his young age—but for example, he never drank alcohol. That is one of the many lies created by the Free Officers. The TV series has done the boy-king a great service. It humanized Farouk, showing the good aspects of his life and career while glossing over—or explaining—his mistakes. Even Nazli—the notorious Queen Mother whose affairs scandalized the royal family (and who abandoned her son, went to Europe, and converted to Christianity) is defended and depicted as good woman at heart. Wrongs are forgiven in a series that aims to honor—rather than insult—the last king of Egypt. One question kept coming to mind this Ramadan: why haven’t we, as Syrians, been able to produce similar works about our historical figures? We certainly have plenty of them—and their images don’t need much polishing. They were respectable, clean, and highly patriotic men who dedicated their youth, wealth, and lives to the development of Syria. Some names that immediately come to mind and deserve homage include former presidents Shukri al-Quwatli, Hashem al-Atasi, Nazim al-Qudsi and Adib al-Shishakli. He was also tormented that due to him being a Syrian, he had not received the Medal of Honor in Egypt. He commented in his memoirs, “Egypt hasn’t given me its Medal of Honor, although it has given it to many others!” That same year, Gamal Abdul-Nasser gave the medal to Um Kalthoum and Mohammad Abdul Wahab. He deliberately passed Farid al-Atrash, doubting his loyalty to Egypt after the 1961 breakup of the United Arab Republic (UAR). We certainly have the ability to do Farid al-Atrash justice, and produce similar grand productions about him and other Syrian celebrities. 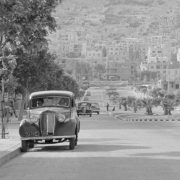 “King Farouk-the Series” is testimony to our abilities because most of the behind-the-scenes staff are Syrian. This of course is in addition to the costume designer, the director Hatem Ali, and the star, Taym al-Hasan. The argument that Egyptians are better at film-making strongly no longer stands. They are better, however, at preserving their national symbols. 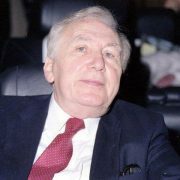 Two years ago, the Syrians produced a series about the life of Syrian poet Nizar Qabbani. It aired in Ramadan 2005. Nizar—hailed as a genius not only in Syria but throughout the Arab World, had been censored for being a sharp critic of Arab regimes. When he first wrote poetry in the 1940s, the sexual tone and romantic verse of his work shocked the stuffy Puritanism of Damascus. He broke taboos in the Arab World. A legend in his own lifetime, Nizar wanted to liberate Arab women from the control of their male-dominated societies. 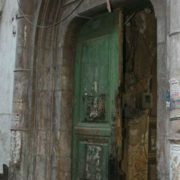 He loved Syria and adored Damascus, the city that inspired his revolutionary poetry. 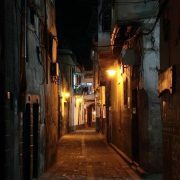 In the ugly television series, however, Nizar was shown as a sexually-obsessed womanizer who would have an affair with any woman who came along, regardless if she were interesting, pretty, or suitable. Nizar was simply not like that. 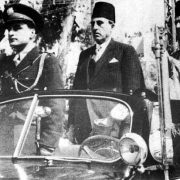 The television series also gave a bad image to historical symbols of Damascus like President Quwatli, who was a friend of the Qabbani family. “Nizar Qabbani-the Series” was deliberate vandalism of Damascus. While the works on Farouk, Um Kalthoum, Nasser, and Sadat did these people justice—great justice—the series on Nizar did the exact opposite. The Egyptian works made people love these figures, re-visit their achievements, and forgive their faults. It was PR par excellence for Egypt. On my office desk are two documents. One is the scenario for a 30-episode series about Asmahan, the Arab diva of the 1930s, to be directed by my friend, the celebrated Nabil al-Maleh. The other is a proposal for another similar series about the life of former President Shukri al-Quwatli, put forward by my friend, the ambitious and talented director Sayf Sibai. Both projects have been on-hold for years. “Asmahan” needs permission from the Atrash family and “Shukri al-Quwatli” needs funding since it will be a grand production that requires filming in Syria, Egypt, Switzerland, Iraq, and Lebanon. For years, Quwatli was depicted in Baathist books as a weak, egocentric, and one-dimensional aristocrat who feared real democracy and used his influence to advance his own interest, and those of Damascus. He should have been depicted as a courageous, devoted, and selfless nationalist dedicated to the liberation of Syria. For years, all that people remembered about Asmahan was her connection to the Germans and British during World War II, forgetting that she had one of the strongest and most majestic voices of the 20th century, no less talented than Um Kalthoum. For years, celebrating pre-1963 figures was unwelcome in Syria. This remained common until a small trend emerged in the early 1990s to glorify the “Founding Fathers” of Syria and rebuild their shattered reputations. It was the work of then-Defense Minister Mustapha Tlass. Now is the time to do justice to the symbols of Syria. We failed to honor them in print—not to worry—now is the television and cinema age of the Arab World. The least we can do is make productions—similar to “King Farouk” that gives them their due place in history. They deserve it, and so does Syria.